About the Environmentally Safe Aggregates Tarawa (ESAT) Project: The goal of this European Union funded project, implemented by the Pacific Islands Applied Geoscience Commission (SOPAC) for the Kiribati Ministry of Fisheries and Marine Resource Development is to support the community of Kiribati to combat coastal erosion on its most densely populated atoll, Tarawa. 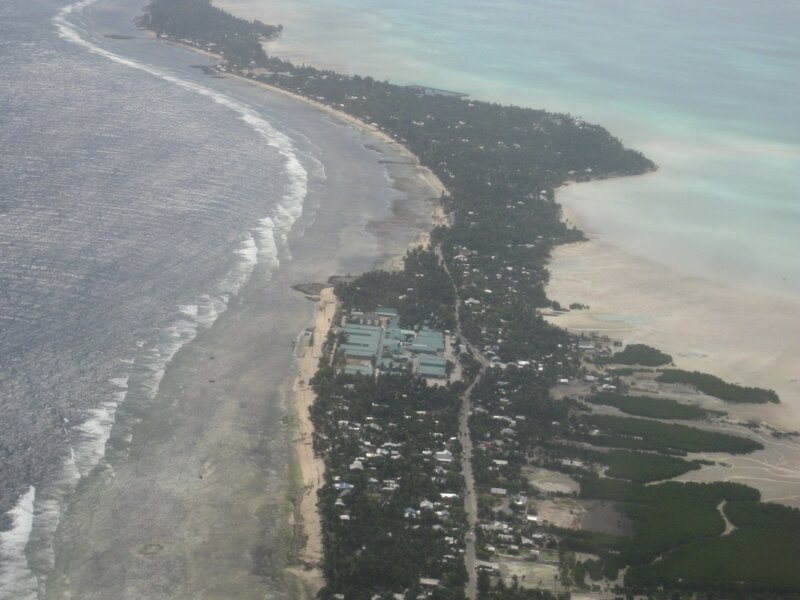 The atoll currently faces severe coastal erosion problems which result in the loss of land, wave overtopping and the flooding of businesses and houses and critical infrastructure such as the local hospital. This is an especially urgent issue in the face of climate change and potential rising sea levels. The local practice of mining the beaches for sand, gravel, rocks and shells (aggregate) greatly exacerbates this coastal erosion problem and is in fact one of the main underlying causes. The project aims to protect the vulnerable beaches of South Tarawa from damage caused by aggregate mining and provide an alternative supply of material through environmentally safe lagoon dredging which will be operated by a State Owned Enterprise that will be responsible for implementing a distribution system that ensures that all sectors of the population on South Tarawa have access to aggregates, in an environmentally safe manner. About Sandwatch: Sandwatch provides the framework for children, youth and adults, with the help of teachers and local communities, to monitor their beaches so as to critically evaluate the problems and conflicts facing their beach environments and to develop sustainable approaches to address these issues, whilst at the same time helping beaches become more resilient to climate change. The Sandwatch methodology consists of Monitoring, Analysing, Sharing, and Taking action (MAST). An activities orientated approach is used to cover monitoring methods and data analysis, including observation and recording, erosion and accretion, beach composition, human activities, beach debris, water quality, waves, longshore currents, plants and animals. 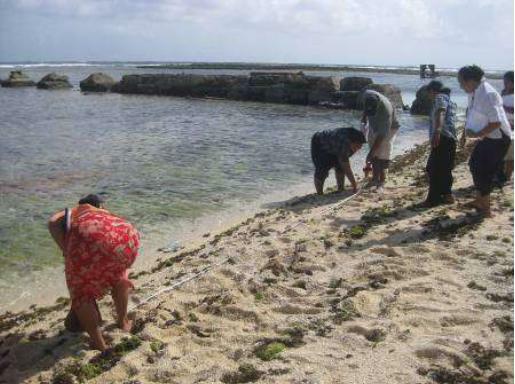 The activities are related to (a) sustainable development issues including: beach ownership; mining beaches for construction material; conflict resolution between different beach users; pollution; conservation of endangered species and (b) climate change adaptation issues: sea level rise, rising temperatures, ocean acidification and increased extreme events. The ESAT project has a substantial Community Participation Programme and the adoption of Sandwatch is seen by the Project Coordinating Committee here as a good approach to making young people aware of their beaches and how they work. The Manager of the ESAT project had discussions with the Curriculum Development and Resource Centre (CDRC) about including Sandwatch as part of the curriculum for schools in South Tarawa. The Ministry of Youth, Education and Sport (MYES) expressed interest in Sandwatch particularly due to its mathematics, science and English content. (The (then) director of the CDRC had attended the UNESCO Climate Change Education Seminar in Paris, July 2009, and had heard a presentation about Sandwatch). 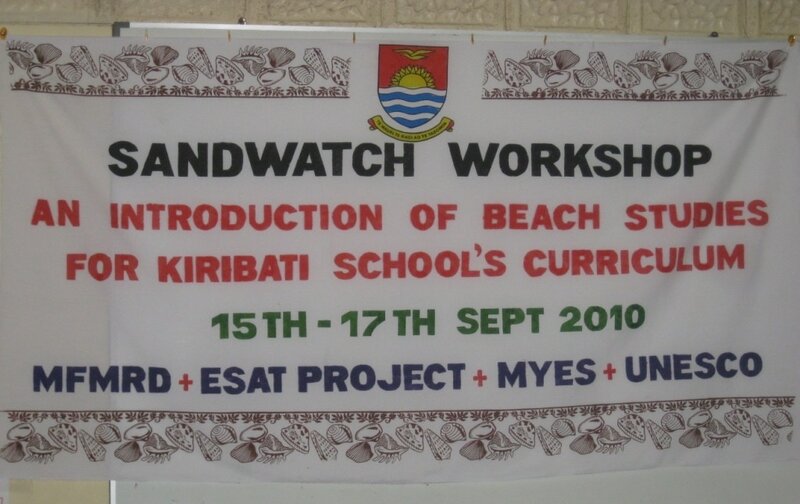 A review of the school curriculum is planned for 2011 and MYES felt it would be helpful to hold a preliminary Sandwatch Training Workshop in 2010. The Sandwatch Foundation had discussions with the UNESCO Cluster Office for the Pacific States who were also supportive of the initiative. 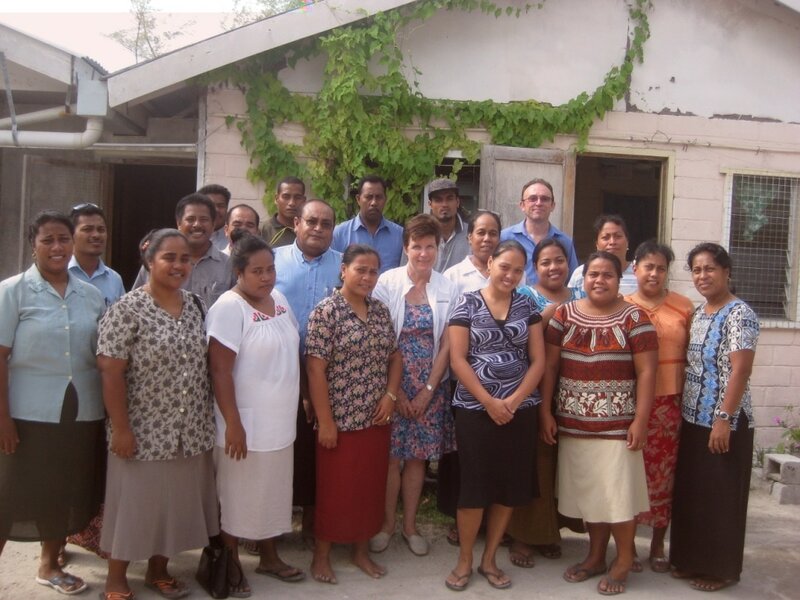 As a result a 3-day workshop, 15-17 September 2010, was held at the CDRC in Tarawa, Kiribati, entitled Sandwatch Curriculum Workshop. 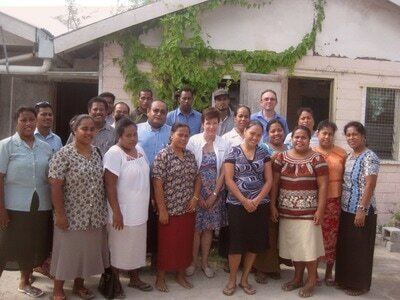 The workshop involved teachers, staff from CDRC, MFRD and ESAT project. 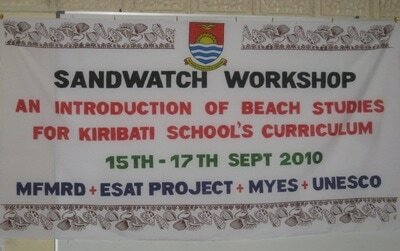 The workshop was supported by the ESAT Project, MFRD, MYES, Sandwatch Foundation and UNESCO. The workshop programme is presented at Annex 1. After presentations on Sandwatch and the ESAT Project, participants were introduced to the Sandwatch monitoring techniques on the first day and were given the opportunity to practise the techniques at a nearby beach. On the second day, after further presentations on monitoring followed by field practice, presentations were given on Sandwatch networking and project design, followed by group discussions. 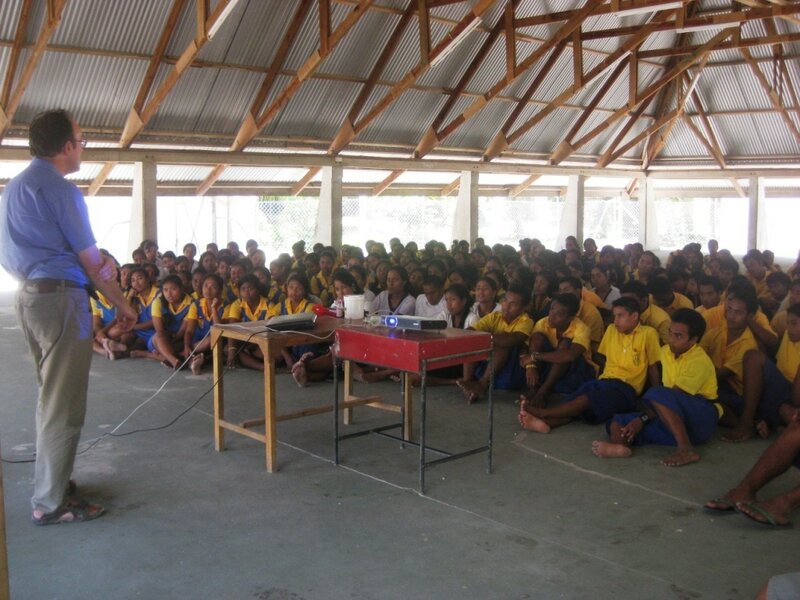 On the third day there was a presentation on climate change science and the rest of the day was devoted to group discussions of the way forward for Sandwatch in Kiribati. Following the workshop evaluation, there was a closing ceremony. The list of participants is presented at Annex 2. There were a total of 26 participants, 19 teachers from junior secondary and high schools, 5 participants from the CDRC and 2 participants from MFRD. The workshop was opened by Mr. Ribanataake Awira, Secretary MFRD. 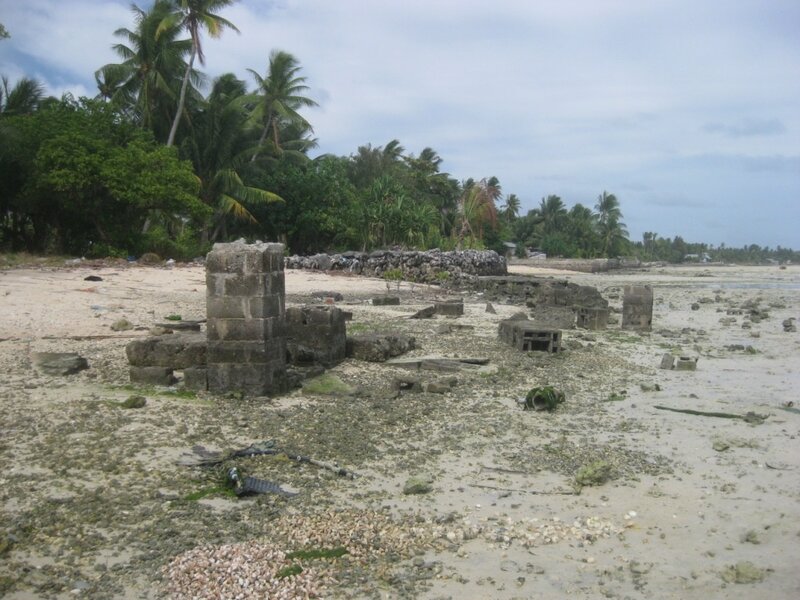 He emphasised the importance of land resources in Kiribati and that the island was under threat from erosion that was being exacerbated by destructive sand and aggregate mining. He emphasised the importance of creating awareness about these issues among young people, particularly with the threat of climate change, and that a person was never too young or too old to learn about the environment. Ms Nei Teburantaake Kaei, Director the CDRC, welcomed the participants and noted that the teachers are the key people to transmit information about Sandwatch to the students. She mentioned that the CDRC was pleased to have the Sandwatch workshop take place before the curriculum review. Prior to this Sandwatch workshop there had been a 2-day workshop to discuss education for sustainable development (ESD) as a policy, and it was now useful to be learning about Sandwatch, which can be viewed as a tool to put ESD into action. Ms Titeem Auatabu, MFRD, gave an introduction to a coastal mining DVD, produced by SOPAC, discussing the sand mining problem in South Tarawa. Mr. Nick Harding, Project Manager, ESAT Project, described the project’s background. The project will purchase a custom-made clamshell dredge with a specially designed crane to dredge aggregate from the lagoon for construction use in South Tarawa. The dredge will be owned and operated by a state owned company. It is hoped that the dredge will be in place by the end of 2011. Gillian Cambers gave an overview of the Sandwatch approach: Monitoring, Analysing, Sharing, Taking action (MAST) and also described how Sandwatch was a tool for ESD and contributed to climate change adaptation by making beaches more resilient to climate change. This was followed by an outline of Sandwatch monitoring methods: observing the beach, measuring erosion and accretion, waves, currents and sediment size. Participants then went out on the beach to practise the methods and analyse the results. 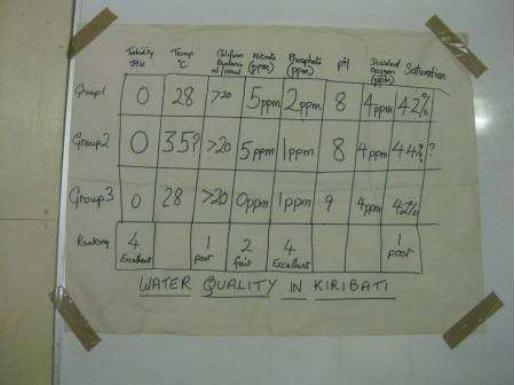 A similar approach was adopted on the second day for measuring water quality, beach debris, human activities and beach ecology. Different methods to communicate Sandwatch results, ranging from simple meetings to the preparation of videos to post on Youtube were outlined. Participants worked in small groups to prepare and present articles for the Sandwatch newsletter, see Annex 3. 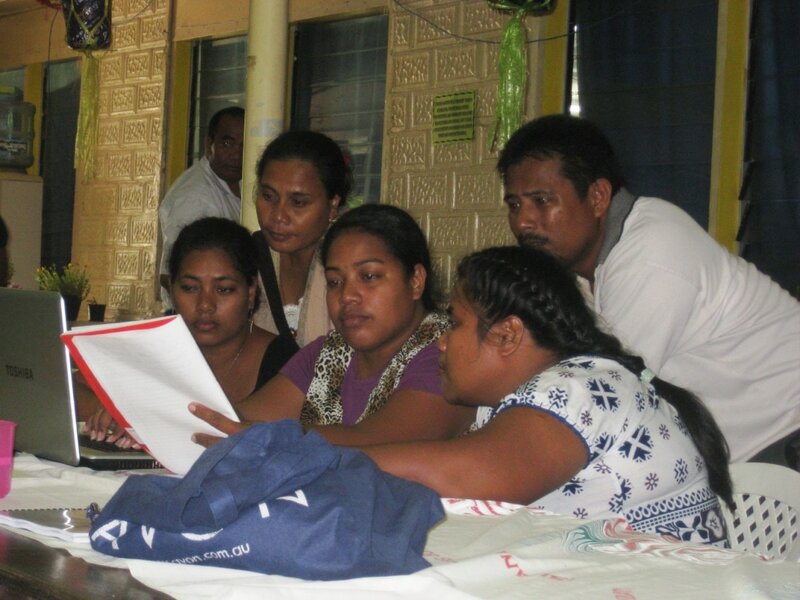 Following a presentation on Sandwatch project design, participants worked in small groups to design possible Sandwatch projects in Kiribati. The four sample projects addressed the four main issues listed above. These teachers proposed to work with classes 4 and 5 of the secondary schools to keep the beaches by their schools clean. They proposed including this in the geography syllabus work so that some of the work would be undertaken during geography classes starting in the first term of 2011. This group plan to prepare a proposal to CDRC on how Sandwatch can be integrated into the syllabus for Form 1. This could inform the curriculum review. They identified four topics: erosion, sand mining, sanitation and practical. This group planned to form a committee: Tarawa Science Teachers. They planned to meet in the week starting 20 September 2010. Their first step is to ask the School Principals for time to inform the students and other teachers about Sandwatch. The plan is to include students from Form 1 and to plan and execute a Sandwatch project. 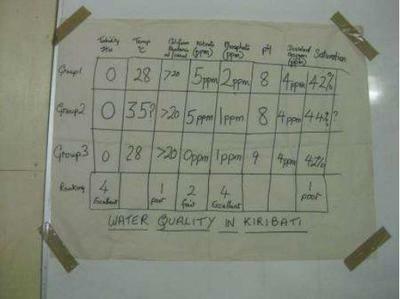 One possible example was to train students in the proper methods of waste disposal around the school. 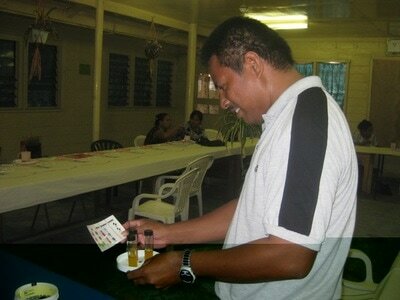 They planned to involve the Island Councils and the Sanitation Departments. The project would involve education on waste disposal, conducting debris surveys, placing litter bins, appointing litter monitors and evaluating the results. They proposed to consider Sandwatch in the curriculum review and to establish a Sandwatch Steering Committee that would include one representative from each of the schools present at the workshop. The goal of the Steering Committee is to support and coordinate Sandwatch activities in the schools before the curriculum review takes place. The Committee would also include other Ministries, e.g. Ministry of Environment and representatives of other organisations. The first meeting was set for the week starting 20 September 2010. At the end of the workshop participants were asked to identify two aspects of Sandwatch they particularly liked and also to indicate how such workshops could be improved in the future. The results of the evaluation are presented at Annex 5. “I did enjoy doing practical work and was able to see and understand what has happened to my beach, what caused this to happen and most of all how to help maintain its size and health through Sandwatch taught me to be more concerned and responsible to teach and share important issues with our students and our community people Sandwatch helps in learning to identify several issues that need to be addressed concerning the beach and raises awareness on ways this should be done, especially including it in a school syllabus as it might change the behaviour of future generations and that will surely help our beach”. The workshop was extremely successful in bringing together teachers from different disciplines and curriculum development officers to learn about Sandwatch and its potential in Kiribati. The workshop also bought together two different government ministries: MFRD and MYES, as well as the ESAT Project, Sandwatch Foundation and UNESCO. 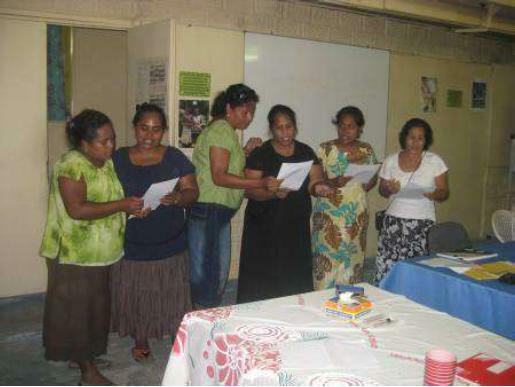 With the date of the first Kiribati Sandwatch Committee meeting set, and the continued help and support of the Sandwatch Foundation and the ESAT Project, it is hoped that Sandwatch will become a vibrant activity in South Tarawa and eventually all Kiribati.